How Can My Client View, Sign Proposals & Contracts? Once you have sent your proposal/contract to your client for review and approval. 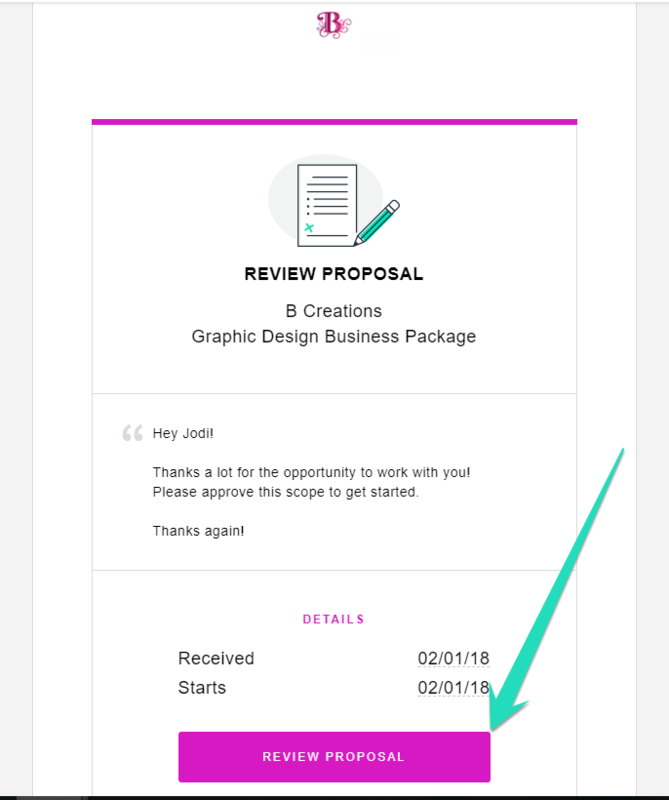 Your client will receive a email with a link to "review the proposal/contract" in their email inbox. This email will be sent using your name as it appears in your settings tab > account >user name set up. 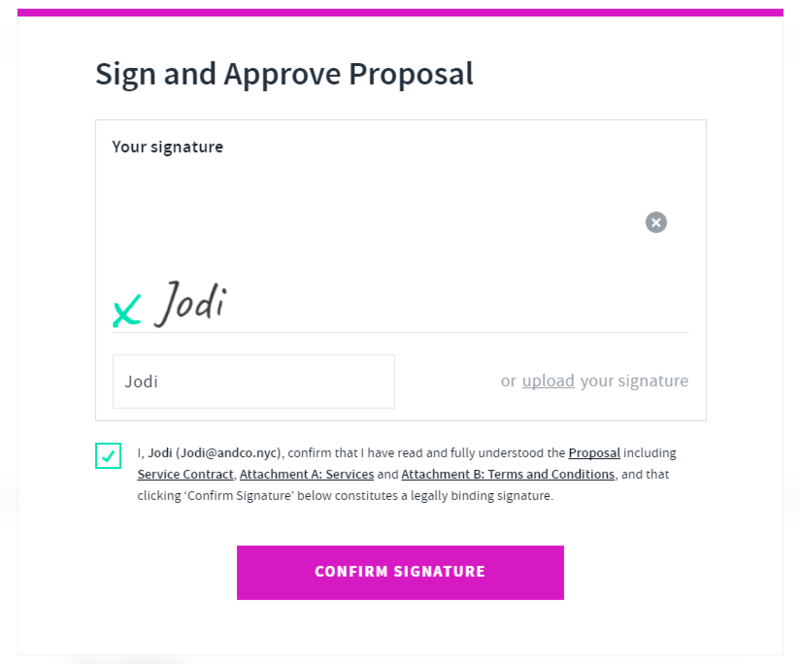 Client will type in their name as the signature and check the box to confirm. 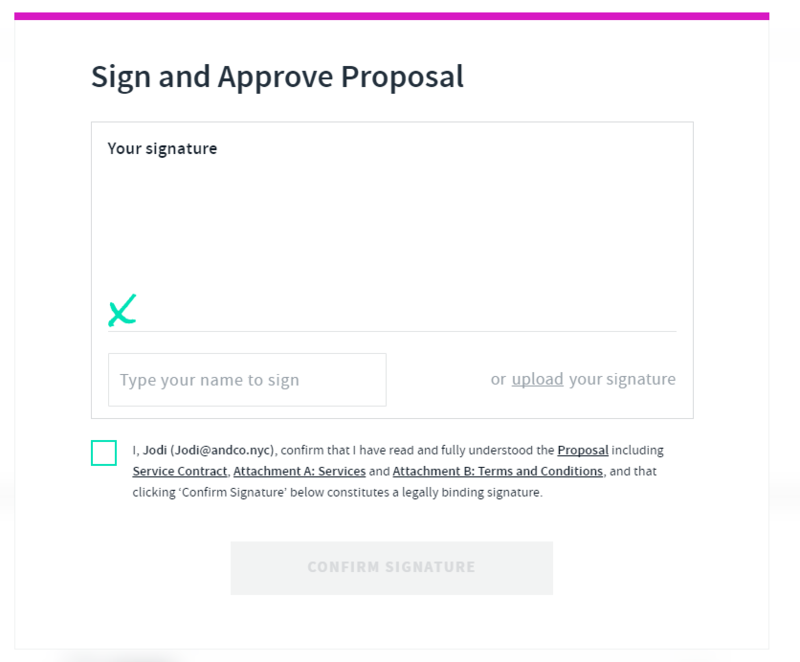 Once confirm signature is selected by the client they will see the following confirmation along with a link to view the proposal/contract. Your client will also receive a confirmation email advising them that the proposal has now been approved. 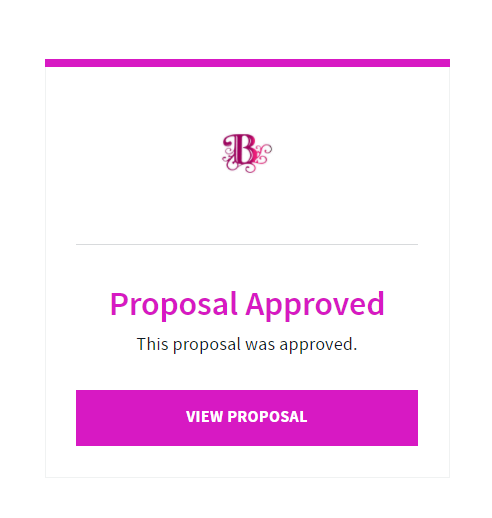 The email will confirm the proposal has been approved which is now a project and your client can view the proposal/contract via the link in the email "View Proposal" at any time. 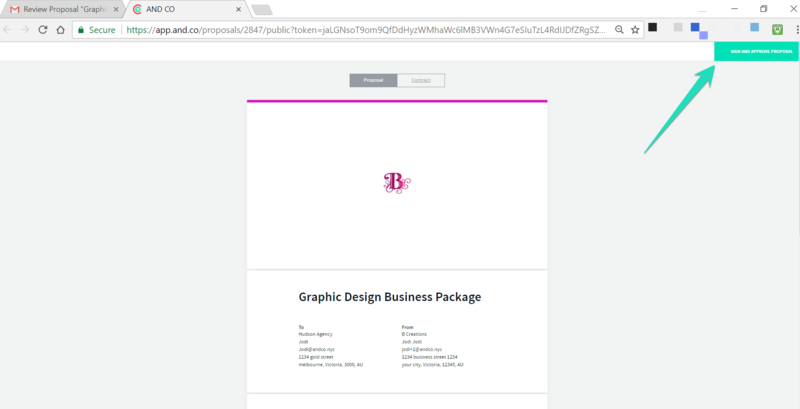 Along with the email your client will also have the ability to download the attached Contract in PDF format. Ensure all pop up blockers in the browser are disabled. If your client is having trouble viewing the proposal/contract via their smartphone device please kindly ask them to review it via a browser eg. Chrome, Firefox. and reach out to your Chief Operator via the support chat tab. 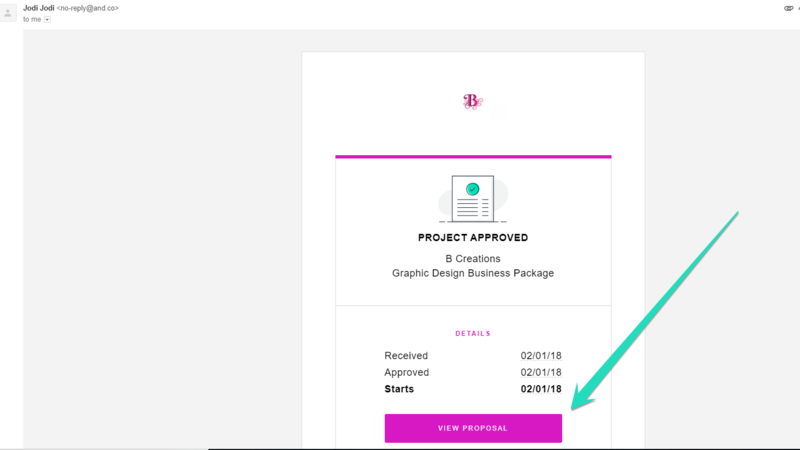 If your client has any revision requests please have the consult with you directly so you can make the changes and resend the proposal/contract.